Cashflow is the lifeblood of property ownership. As a property manager, you need to collect rent on time, pay the mortgage, and cover any routine maintenance or emergency repair costs. Without the rent coming in each month, this can cause stress on personal finances as you probably have an owner occupied mortgage to pay along with daily living expenses. How do you manage to keep the rent coming in each month? How do you stabilize your cash flow given the unpredictable nature of human nature? Daily Life and Obligations. In a perfect world, there would be no issues with receiving your monthly rental payment. Your tenant would deliver the check on time, and you deposit it into the bank immediately. Simple, right? Those who have experience in property management Auburn rental properties know reality is much more harsh and rarely goes this smoothly. Tenants go about their own daily lives with many uncertainties. Even the most reliable tenant could suddenly be unable to pay on time or at all due to changing jobs, roles or circumstances. Checks get lost in the mail. Due dates fly by without notice due to distractions. Life changes and so do responsibilities and priorities. 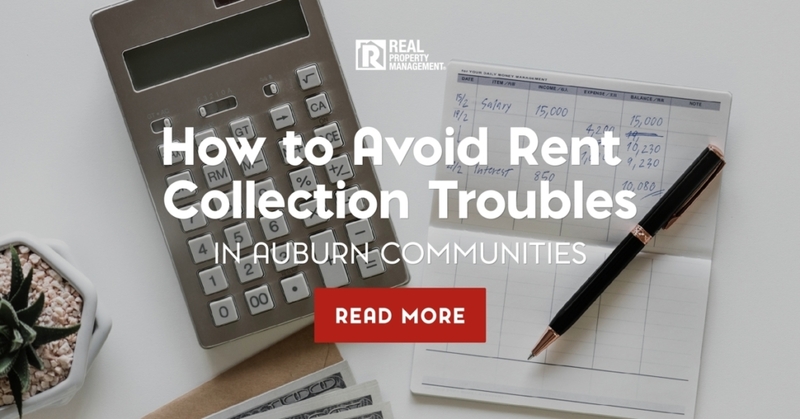 The list goes on, but there is a solution near you in Auburn: property management that uses automated technology systems to resolve the traditional and common risks of the rent collection process. Tenant Screening. RPM SAC-METRO has a rigorous screening process. As mentioned above, even the most thorough screening process cannot make property owners immune to evictions, but our proven screening process certainly cuts down on the risk. We choose our tenants wisely by requiring all applicants who are 18-years and older fill out an application to rent, submit sufficient income proof, pass criminal, credit and background checks, and receive only the most positive rental verifications. Communicating Expectations. When it comes to property management, Auburn leasing professionals must set clear expectations. Communicating lease agreement rules clearly so that all parties understand what is expected of them, helps tenants remember to not only pay rent on time, but to care more carefully for the property. We recommend being firm and upfront about all lease rules. Incentives, whether you are three or seventy-three years old, are always attractive to people. Just as someone works extra hard at their job to qualify for that annual bonus, renters enjoy getting rewarded for their efforts and responsibility of paying rent on time. SAC-METRO incentivizes its tenants and states the payment conditions clearly in the rental contract. We also communicate clearly with our tenants on a regular basis to ensure all parties are on the same page at all times. Our Resident Club system rewards tenants every time they make a rental payment on time, making paying the rent something they look forward to instead of dread. Paying on time no only saves them a late fee on rent, but also saves them money on purchases they make every day. Once a member of our Resident Club, they can browse for discounts and coupons to local grocery stores, shopping and dining. In a world that constantly evolves technologically, SAC-METRO keeps up with the times. We use an electronic payment system that eliminates the many issues with the traditional check-in-the-mail method. Missed payments trigger our automated collections process. This system enforces the payment conditions set forth in the contract and follows applicable legal regulations to assure all is done appropriately. If an eviction is necessary, we offer comprehensive legal support from our in-house legal counsel to protect you and your property. We move forward by giving proper legal notices as advised by our lawyers. Our expert property management team is familiar with notices, collections, and unlawful detainer protocols. We safeguard rental properties, homeowners, and renters using our local and experienced teams. Do you dread the first of the month because of the rent collection process? Stop putting unnecessary stress on yourself as you hope and pray that the rent check will be in your mailbox on the first of the month. There is an easier way to protect your cash flow with effective and proven property management. Auburn property management properties have access to the most advanced property management systems and service with SAC-METRO. Just as a financial advisor manages and protects your financial portfolio in the stock market, we protect and manage your real estate investment property and always have your best interests in mind. Investing in the top property management Auburn company, SAC-METRO, will be the best decision you make. Call today and let us stabilize your cash flow.